Philly’s pride flag is about to get a makeover. Philadelphia is redefining the LGBT pride flag as we know it. 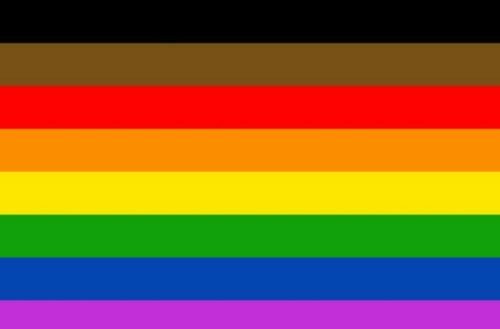 The city has a launched a new campaign, “More Color More Pride,” adding one black and one brown stripe to the traditional six colored rainbow. The new design will be, from top to bottom: black, brown, red, orange, yellow, green, blue and purple. In 1978, artist Gilbert Baker designed the original rainbow flag. An iconic symbol of LGBTQ+ unity. So much has happened since then. A lot of good, but there’s more we can do. Especially when it comes to recognizing people of color in the LGBTQ+ community. 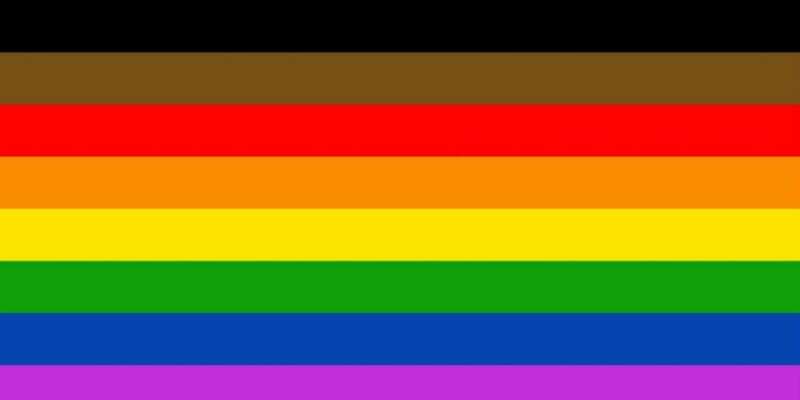 To fuel this important conversation, we’ve expanded the colors of the flag to include black and brown. It may seem like a small step. But together we can make big strides toward a truly inclusive community. Tierney, a Philadelphia-based advertising agency, approached the Office of LGBT Affairs with the new design. G Philly’s Ernest Owens reported on the new flag before the city officially made its announcement. What do you think of the flag?